I did my research however and rounded up some tips that would hopefully make my project a success. These included cutting out over a layer of newspaper and using tissue paper under seams while sewing. 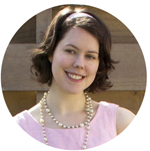 You can read about how that went (hint- not flawlessly) in my Taffy post here. I happened across a new tip on Pattern Review where you actually use gelatin to make the chiffon more manageable. So I gave it a go, and decided to do a little tutorial and give my thoughts on the experience! 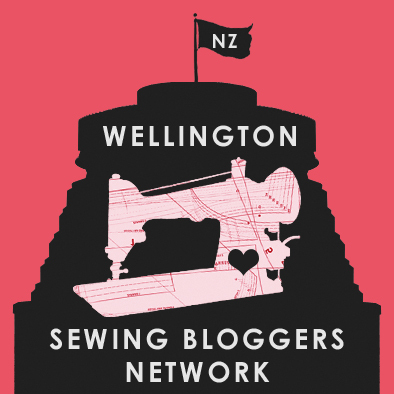 Full credit goes to Lena Merrin of the Sewing Space for putting the tip out there in the first place. I'm no maverick genius, I'm just using her smarts! Step 1: Put 3 teaspoons of gelatin into a glass of cold water and stir in. Leave to sit for half an hour. Without this photo, you may not know how to put gelatin into water. lol! Step 2: Transfer into your saucepan/pot and bring to the boil. As soon as it gets to the boil, take it off the heat. If you're doing this in a saucepan, now transfer it to the large bucket and add 3 litres of cold water. I just added the cold water straight to my soup pot. After adding the cold water. Step 3: Add the chiffon and leave it for an hour! (I stirred mine in to make sure it was all nicely mixed). 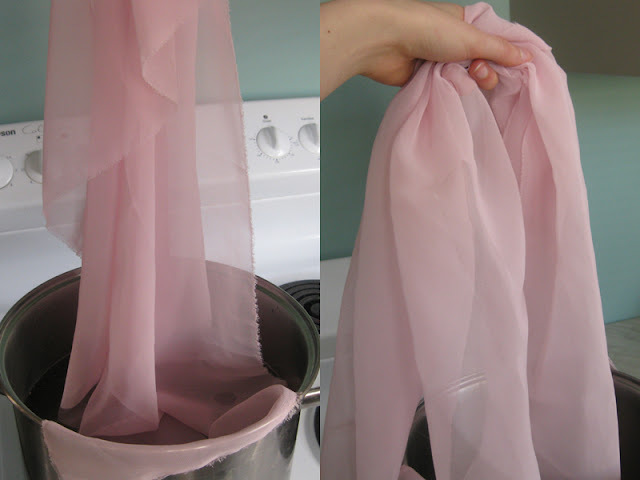 Step 4: Gently squeeze out your chiffon and hang it up to dry. You're done! Look, it's crisp and has more body! I made this nifty comparison pic for you. Not the most scientific, but I think you can see the difference! Left: going in. Right: after drying. -This helps the manageability of the chiffon, but it's not a magic bullet. I still found cutting out my pattern pretty dicey! -My chiffon was polyester, but I've heard of people using this successfully for silk chiffon too. -After you're finished working with it, you'll want to wash out the gelatin. I soaked mine in cold water for a while, and then hand washed with laundry powder. Then I removed excess water with a towel and air dried flat. You can use the same method for silk, but use a delicate or wool wash detergent. -I was worried about the gelatin making the touching layers of chiffon get stuck together while it was drying, but it was no problem. This idea seems wacky and cool and makes you feel like a mad scientist! I hope this helps someone out there! Update: Now Threads Magazine has also done a mini tutorial on this - they also used it on charmeuse, so it's not just chiffon it can be used for! Fab idea :) And a very pretty taffy! Thanks for sharing this great idea! May have to try this in the fall. I've been very afraid of chiffon so far. That's brilliant! I never would've thought of that! I'm miserably ham-fisted when it comes to using spray starch, so an alternative way to stiffen chiffon would be a godsend. Something tells me the dye bleed was an experience of yours? Eep! 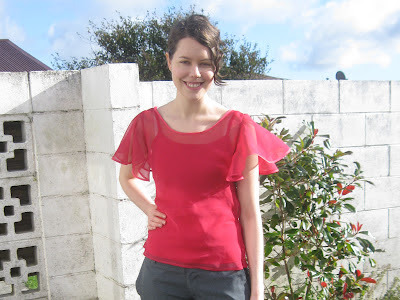 I made a top with chiffon just to try it out and next time I will definitely use gelatine. Who'd have thought - brilliant. Thanks Jo and Lena!! Thanks for the great photo tutorial. I've read about this but was too chicken to try it till i saw your photos. Thank you! Great work on the tute. love your tutorials by the way...and the sense of humour. I have just as many problems with biting off more than I can chew. My first sewing project was a semi-formal dress in satiny fabric! It did turn out alright, but not as well as I had hoped. Finished Miette, you heard me right! I hope you like talking about fitting!